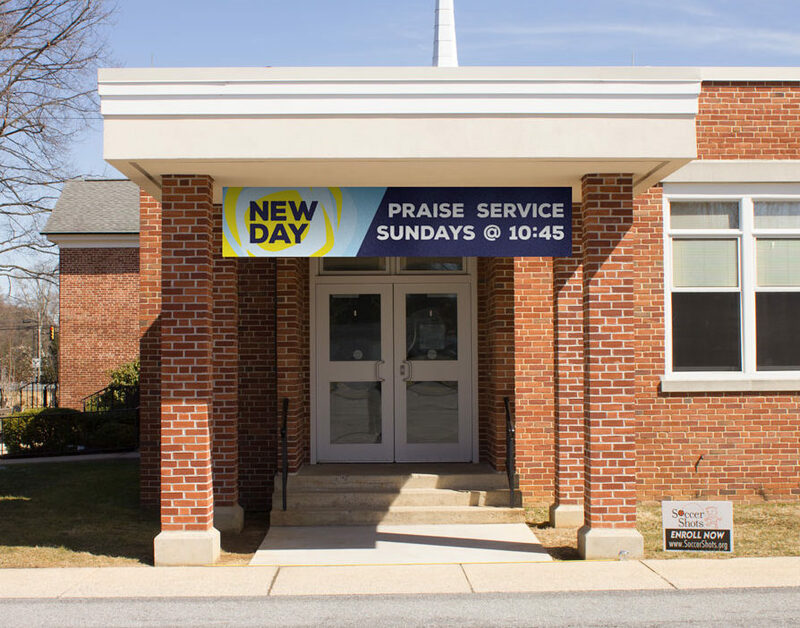 The New Day service features praise music and is led by a multi-piece band. The music is oriented to lift the spirit, connect to the Biblical themes of the day and be contemporary in nature. 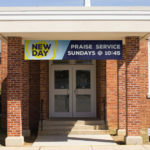 Enter through the north side of our campus under the New Day banner. You will be greeted into our cafe where you can help yourself to a cup of coffee or help your family to some juice and refreshments. The worship setting in the Family Life Center is laid back, so feel free to bring your drink in with you and find a seat! Before the service begins, sit back and chat with others and find out what’s happening in the life of the church through announcements projected on our multimedia screens. You will be greeted by our leaders and the service begins with upbeat praise music. The New Day Band accompanies each service with live music, featuring acoustic and electric guitars, piano, and a full rhythm section. 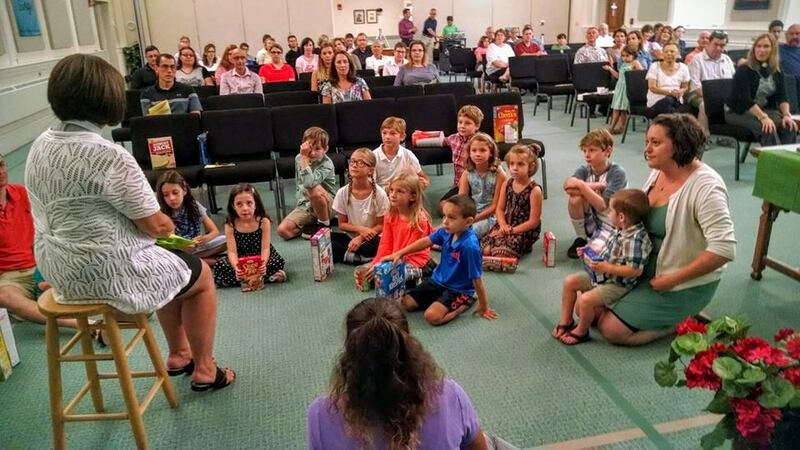 Each week we sing six to eight songs, ranging from high-energy praise songs to contemplative ballads. The focus is on worshiping God through music. Click play below for a sampling of what music sounds like at New Day. During worship you will hear the Word of God read and preached. As in our Traditional Services, New Day follows the Revised Common Lectionary. Our preachers take full advantage of our multimedia capabilities, and sermons may feature accompanying images or videos. Sermons are recorded and posted each week. Holy communion is offered on the 1st, 3rd and 5th Sundays of the month and on all Festival Sundays. All are welcome to the table of the Lord. During communion you will be invited forward by ushers to receive the host and to intinct in wine. Gluten free wafers and grape juice are also available. Do you play an instrument or like to sing? Would you like to provide some refreshments for our coffee bar, or help set up for worship? Fill out this form to get started.